A great day was had by all at the 128th Miners’ Gala! I have just returned to London after an extremely busy weekend at Durham’s 128th Miners’ Gala. I had an absolutely fantastic time. 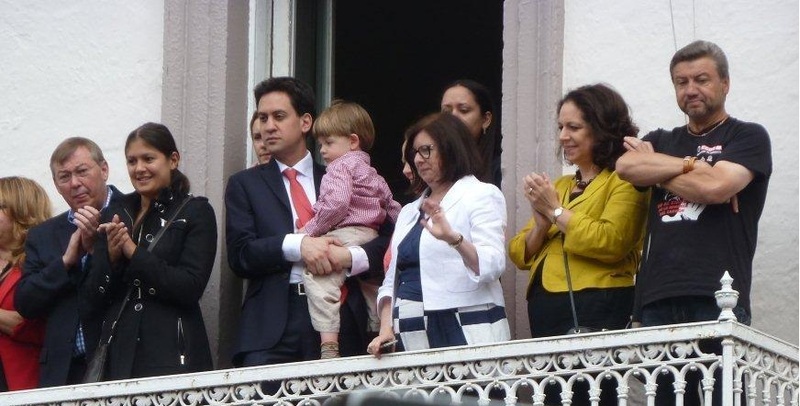 I was very proud to welcome Ed Miliband, the leader of the Labour Party, to the event. He was the first Labour leader to speak at the event since Neil Kinnock in 1989. I think it is great that Ed recognises the history and the importance of the Miners Gala, and came up to show his support. 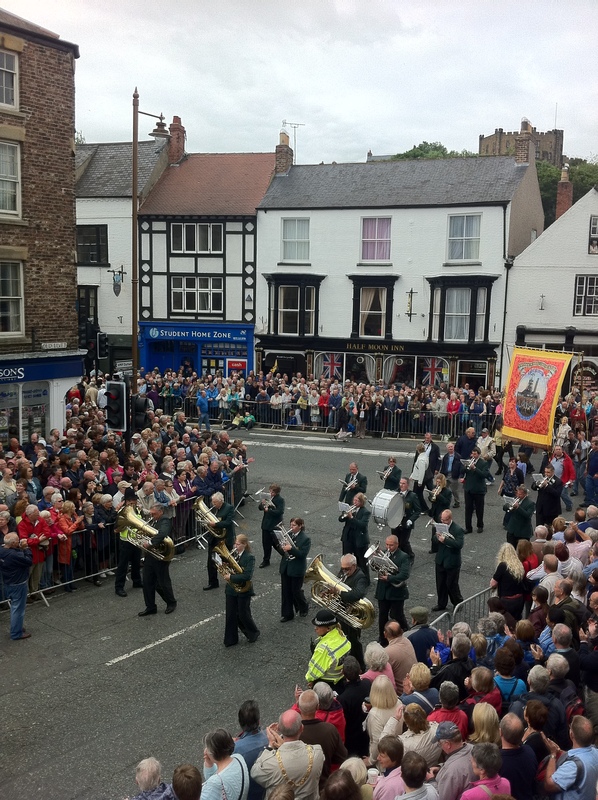 Many of you will have been at the Big Meeting on Saturday, and will know that the day saw mo re brass bands and more banners than before- it created such a great buzz around all of the city centre, with families and friends travelling in from all across Durham and from much further afield as well. Luckily the weather just about stayed dry, and there were even a few rays of sunshine spread across the day. There were around 70 banners and fifty bands, ranging from the colliery banners of the villages in my constituency to trade union banners from across the whole of the UK. It was particularly great to see the new banners from Brandon, Women against Pit Closures, Burnhope, Felling, Heworth and the Durham Recovery Banner. These show that the history of the Miners Gala is still very much alive and that in fact it is increasing in relevance- with the new Durham Recovery Banner showing the various stages that people face when seeking to overcome an addiction. It was also great to see so many Councillor and MP colleagues and Party Members walking in with their banners. Unfortunately I had to leave the Brandon Banner behind, after there were so many in the procession that it took them five hours to get from Silver Street to the cricket field! As always, many speakers spoke of their pride in mining heritage, the strength and unity of the trade union movement and the rich history which Durham plays in this. When the crowd assembled to listen them speak, the feeling of pride in our mining heritage covered the whole of the cricket field. Thankfully, all of the speakers talked about the damaging impact the Government’s policies are having on ordinary working families up and down the country: policies such as trebling tuition fees for higher education and introducing loans for further education, policies such as raising the taxes that pensioners have to pay whilst reducing the tax millioners pay and policies such as privatising the NHS. Ed Miliband spoke about the values of Durham and the values of Britain: responsibility, community, fairness, equality and justice. A good summary of his speech can be found here- http://www.bbc.co.uk/news/uk-politics-18839252. Many people caught me after the speeches to say how impressed they were with Ed’s speech. 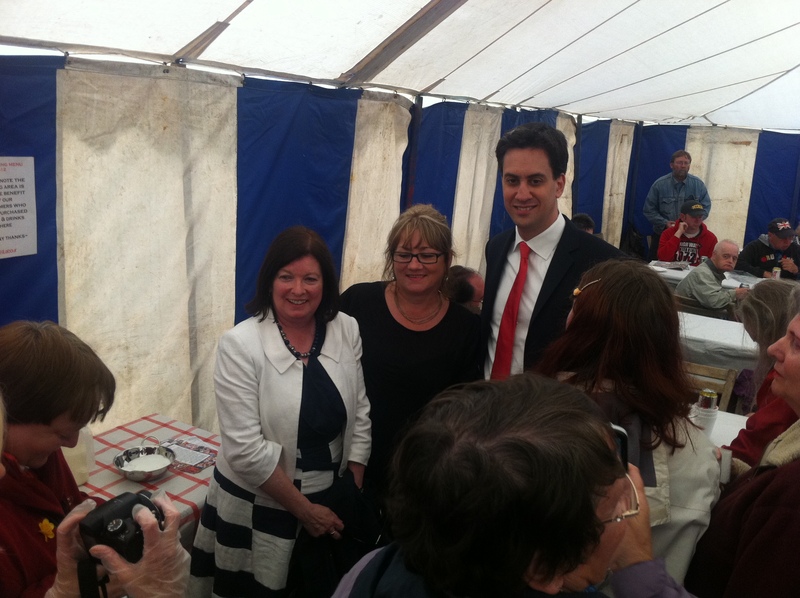 Afterwards, he visited the Labour Tea Tent to meet the volunteers who had been selling sandwiches and snacks all day long. They had even kept him back a scone! Finally, I think it is important to thank the many people who make the Miners’ Gala a great success, year after year. I would like to thank David Hopper, George Robson, Alan Cummings and everyone who helped organise the event and who came along to enjoy the day. David Guy, the Durham Miners Association President, was unfortunately not able to attend due to serious illness. Dave is an incredible man and I know that many people were thinking of him as they enjoyed Saturday’s events. This year we had the added benefit of witnessing the unveiling of a statue on The Miners Hall the day before the Gala. The sculpture of ‘The Miner’, by Arthur Fleischmann, had been very kindly donated by the Arthur Fleischmann Foundation. Arthur’s wife Joy attended the unveiling and spoke candidly about the work of her husband- his worldwide travels and how he had fled from persecution several times. 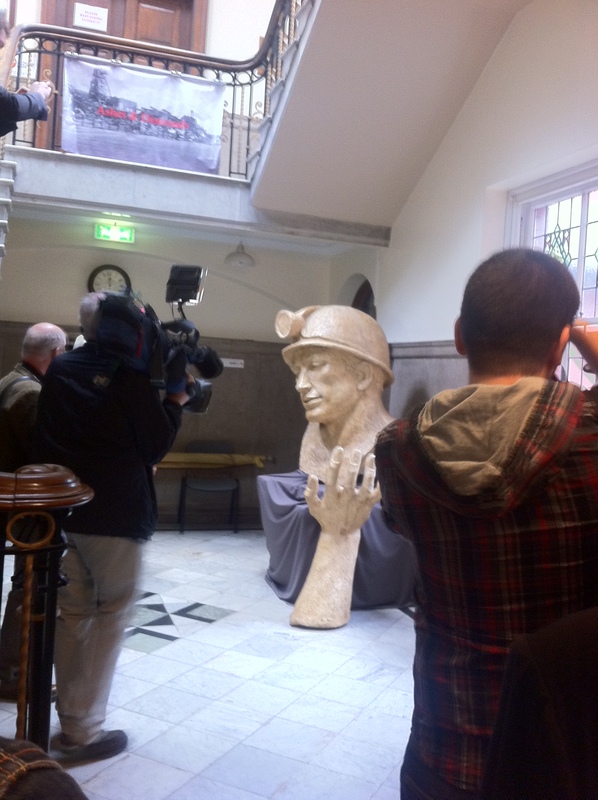 It is great that the statue will now have its home in the Miners Hall, allowing us to celebrate our mining heritage. Last week, on Wednesday 4th July 2012, I supported a Ten Minute Rule Bill which was presented in Parliament by the Right Honourable Nick Brown, MP for Newcastle East. The Bill sought to amend the Town and Country (Control of Advertisements) (England) Regulations 2007 to limit the number of ‘to let’ boards that could be shown at any particular time. I supported this Bill as it is particularly relevant to my constituency- where Student Letting Boards plaster the street for several months per year. Letting boards have become a blight in many parts of Durham City and it is frustrating to see our beautiful city littered with unnecessary advertising. That is why I joined Nick Brown MP to speak out against the overuse of ‘to let’ signs in some areas and I hope the government takes on board the proposals in the Bill. Residents of the City of Durham have long had to endure ‘to let’ boards for large sections of the year and residents of Durham have worked hard for several years to stop the boards from ruining our beautiful city. I really think this Bill could improve streets all over the country, where ‘to let’ boards cause a great distraction throughout so many residential areas. The problem of estate agents overusing ‘to let’ boards in Durham is certainly not a new one. 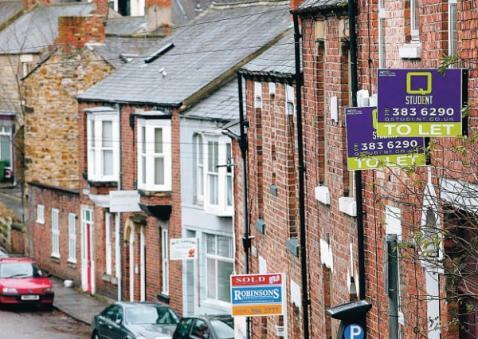 Several years ago I worked with many residents and interested groups in Durham to help draft an agreement, whereby Landlords voluntarily entered a scheme which set limits of the size and quantity of ‘to let’ boards it could have on any one street in Durham. There were also limits on the period during which it could advertise these vacancies, meaning that ‘to let’ boards were not around when the students weren’t. This scheme has been a moderate success, with some student landlords entering into and respecting the scheme well, leading to a reduction in the number of boards. However, unfortunately due to the ‘voluntary’ nature of the agreement it did not go far enough in the limits that it set. We have debated the amendments and the Bill will now receive its second reading in September. This will give us chance to raise the issue amongst our fellow MPs and call for the government to take note of our concerns. It has received cross-party support so I am optimistic that streets lined with ‘to let’ boards could be a thing of the past very soon. Over the last couple of weeks I have been receiving hundreds of emails from constituents asking me to support plain packaging on cigarette boxes. I have been writing back to them individually but thought it would be good to do a blog post to let everyone know my views. I have been involved with ‘Fresh’, the campaign for a smoke free North East, for several years and have always been really keen to know what I can do as a parliamentarian to help reduce the levels of harm caused by smoking. Fresh works in many areas relating to researching the levels of harm caused by tobacco, looking into tobacco control and developing a regional approach to reduce smoking. You can visit their website freshne.com for more information about the work they do across the North East. The campaign is also being taken forward by Cancer Research UK who made a visit to one of my surgeries in January to update me on their work in this area. Nikki McCann, one of the volunteers on their campaign, spoke to me about why she supports the plain packaging campaign and gave me lots of information about it. 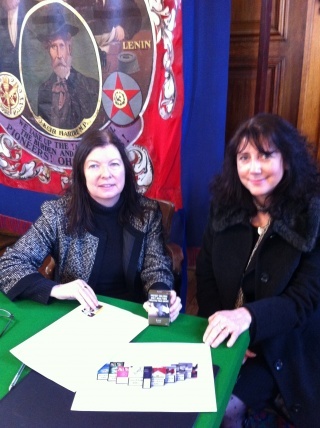 She has also visited me in Westminster to update me on the progress of the campaign. Some of you may have read my blog post on the issue right back in January- https://robertabwmp.wordpress.com/2012/01/25/why-its-time-for-plain-packaging-for-tobacco/. So, having supported the plain packs initiative for a while, I am pleased that many constituents have been contacting me to share their views. They, like me, believe that anything which stops young people from taking up smoking and therefore saves lives should be encouraged. This issue is particularly relevant in our area of County Durham, since smoking rates (28%) here are higher than the English average (22%) and smoking causes around 86% of lung cancer deaths across the County. If you agree with the campaign and would like to see plain packaging introduced, why not sign the petition to the Government at www.theanswerisplain.org, (by the 10th July) asking them to change legislation and bring in plain packaging? 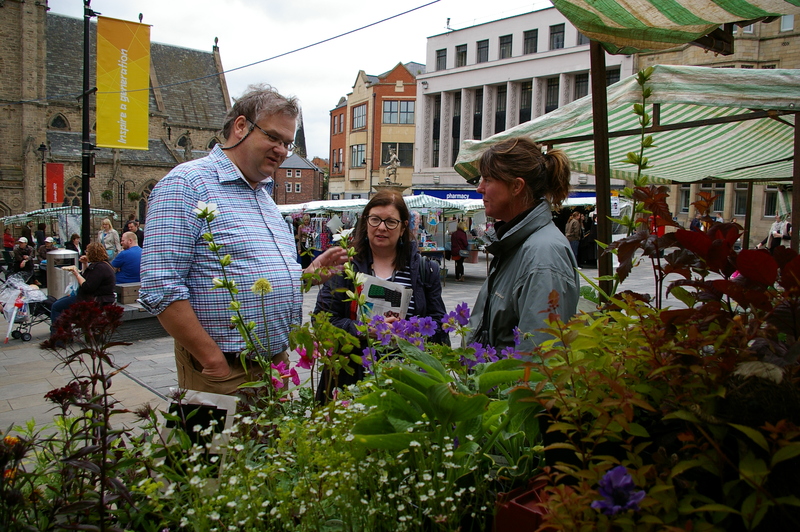 I was so pleased to be able to celebrate National Market Day in Durham- a city which has long been famed for its Market Stalls and market town atmosphere! So on Sunday 1st July, I was invited to visit a special outdoor market put on to showcase the local talent and to demonstrate how great a market is for a town. The Market in Durham has a long history: traders have been going there since the Saxon and Norman times to sell and swap the produce they had made. 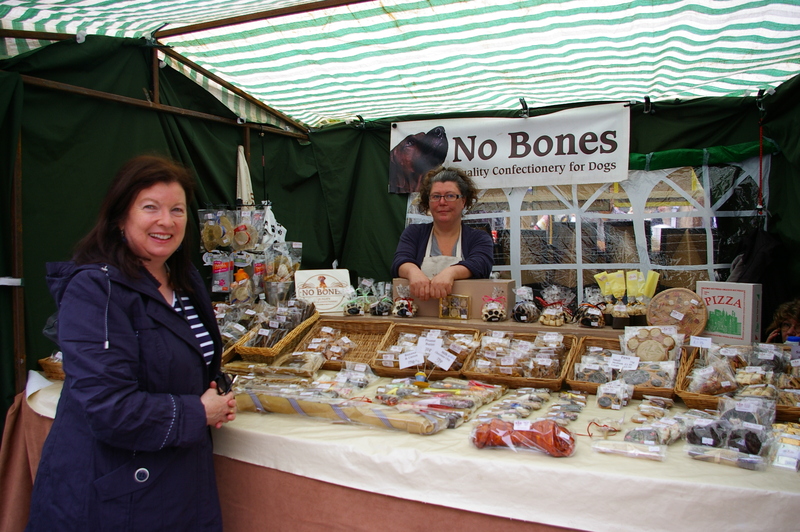 Sunday’s market, however, was all about innovation and the excitement of being able to get a hold of specialist goods and services from local traders on your doorstep. As I’m sure many of you will know, the Saturday market is a permanent fixture in Durham market place but many people had told me how happy they were to see stalls there on a Sunday too. This is something I really hope will be considered in a new and upgraded market trading offer, making use of the extensive space that is now available in the Market Square. We also know that in other towns and cities across the country Markets have been shown to help the High Street, something which I am interested in as it falls within my role as Shadow Minister for Planning and Procurement. Everyone involved in organising the day had put on a fantastic event. There was a 1970’s singer, providing a real atmosphere, who proved very popular with shoppers. Also, with the event falling near National Armed Forces Day, to celebrate the great work our troops have done throughout the years and continue to do right across the world every single day troops there was a tableau by World War II re-enactors. The weather was changeable (though the rain did just about hold off!) but that did not put people off. It was great to see so many local residents and those from further afield, enjoying the market and all it had to offer. My real thanks go to the stall holders, without whom the event could not have happened. To take the leap and try their hands at being a market trader takes some courage, and they all carried it off fantastically! I had a walk around the market, chatting to customers and the traders, and occasionally indulging in the odd purchase! Sadly there were too many stalls for me to list them all, but I thought I’d give examples of the types of things that were available. The third stall I visited was Andre Nicole’s designer fashion shop (http://www.andrenicole.com/index.asp), which had some beautiful dresses. They also produced custom made items, giving consumers real high quality goods right from the Market Place of Durham. The fourth stall I visited was ‘Fruitful Durham’, an organisation who harvest surplus fruit that would otherwise go to waste and use it to make beautiful juices and chutneys. I thought this was a brilliant initiative- people can have their fruit harvested for them by volunteers and then receive some of the finished product as a thank you! The group can be found on Facebook. In keeping with the theme of nature, I then visited a plant store run by ‘Lazy Dayz’ plant nursery in Spennymoor. The plants really brightened up the market place which was beautiful to see. I was really enjoying all the unique stalls and products on sale at the special market. ‘Sheep-ish’, (www.sheep-ish.co.uk) describe themselves as ‘a ewe-nique range of clothing, gifts and accessories, all with a sheep-ish twist!’ The creativity of the designs was second to none and I was very impressed. Next was a stall providing a very different but also unique service- Phil Knapper of Napa Arts hand sketches portraits from original photographs, creating the most beautiful images of special moments. As I said, there were too many shops to list but I really did enjoy speaking to all of the stall holders and I definitely hope to see them all at Durham Market again. I’d like to thank everyone who put so much effort into creating such a brilliantly enjoyable day.